I had picked up Rogue's Captain Sig's Northwestern Ale at Sunset Corners in South Miami a few weeks ago to enjoy on the 4th of July. This beer was brewed in honor of Captain Sig Hansen and the other Hansen brothers who are part of Discovery Channel's Deadliest Catch. These are hard working fishermen out in the Bering Sea around Alaska in some of the most treacherous waters in the world. This is a beer that fits them perfectly. This beer is a little something different. Their is a nice combination going on here of two great beers, an IPA and a Red Ale. The result is a beer that gives off a nice malty aroma with a bit of hoppiness sneaking through. It pours a nice dark amber which was very similar to what you would expect from a Red ale. The head was a good two fingers high and slightly off white and never fully dissipates. What you get from the aroma is opposite from the taste. You get a bitter hoppy taste up front with the maltiness coming through in the end. It has a slightly slippery with a nice full mouth feel. The beer finishes with the maltiness leaving you first and the hops sticking around a little while in the end. A very enjoyable beer overall. This one is only around for a short time so pick it up while you can. 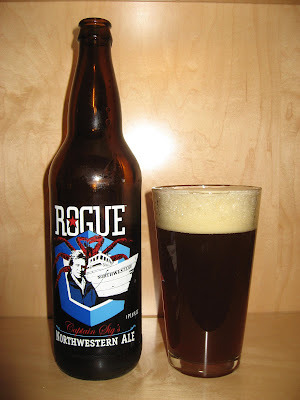 I am a south Florida native (yes..I know, rare) and visited the Rogue Brewery in Newport Oregon. Awesome place to eat overlooking the oldest continuosly operating seaport in the US. 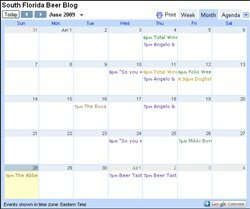 Thanks for posting this as I will be making a stop there to drink some of this hard-to-find beer! !